I made these for dinner tonight to go with our salmon and they were delicious. I think this will be what I make for Easter this year. They are so quick and easy. Pour butter into a 9 x 13-inch baking pan. Sprinkle Parmesan cheese over butter. 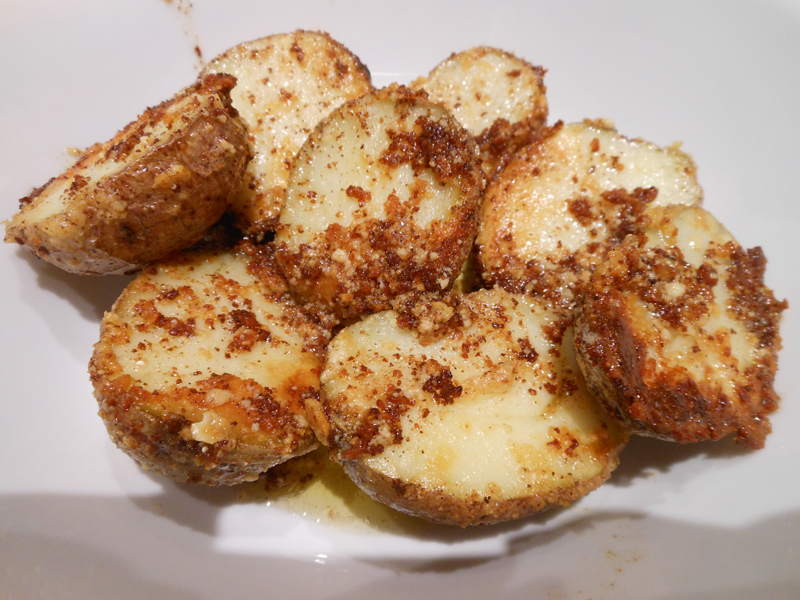 Place potatoes with cut side down over cheese. Bake uncovered, at 400 degrees for 40-45 minutes or until tender. 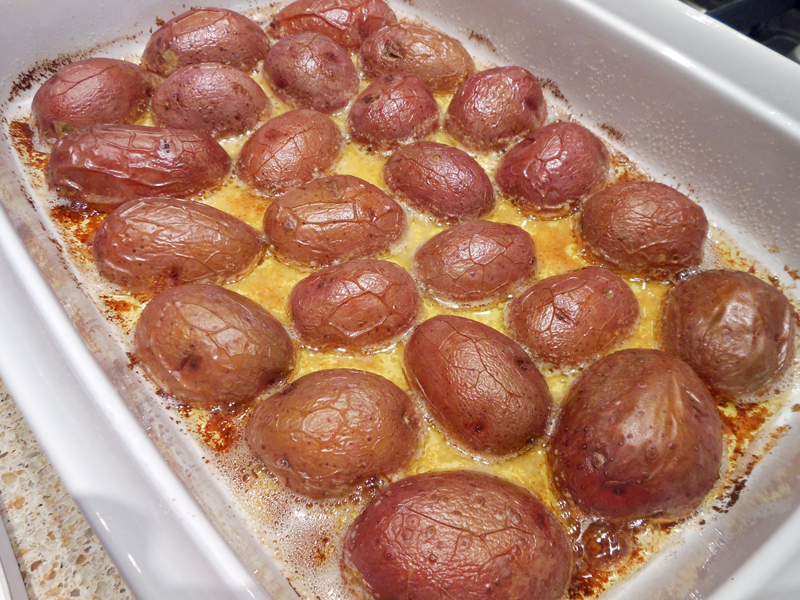 *If you use smaller potatoes, baking time will be less. Just test by sticking a knife into the middle of a potato and it should slide right in and out. Can’t wait to try this recipe!!! Keep them coming!! LOVE your recipes!!! Ever think of publishing them????? H.